MONTGOMERY, AL (WSFA) - Skies are staying cloudy in these overnight hours with scattered showers popping up on radar here and there. A southwesterly flow will continue to bring warm, moist air to Alabama Monday. Showers will be scattered and high temperatures will warm to either side of 70°. Monday night into Tuesday, our next system will move through and thunderstorms are possible. 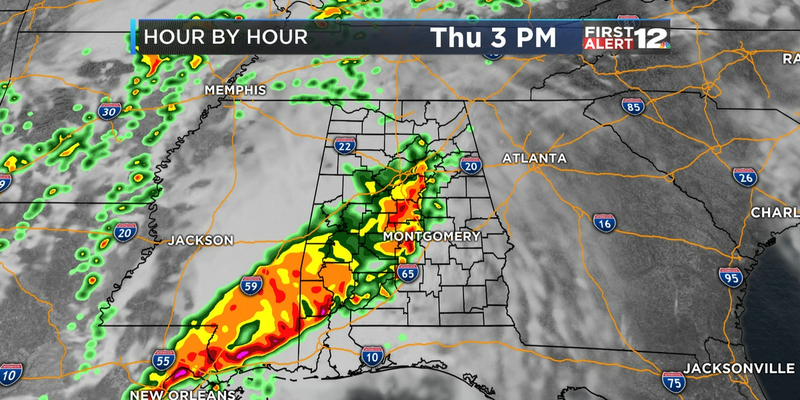 Depending on the time it moves through, some storms could be strong to severe. 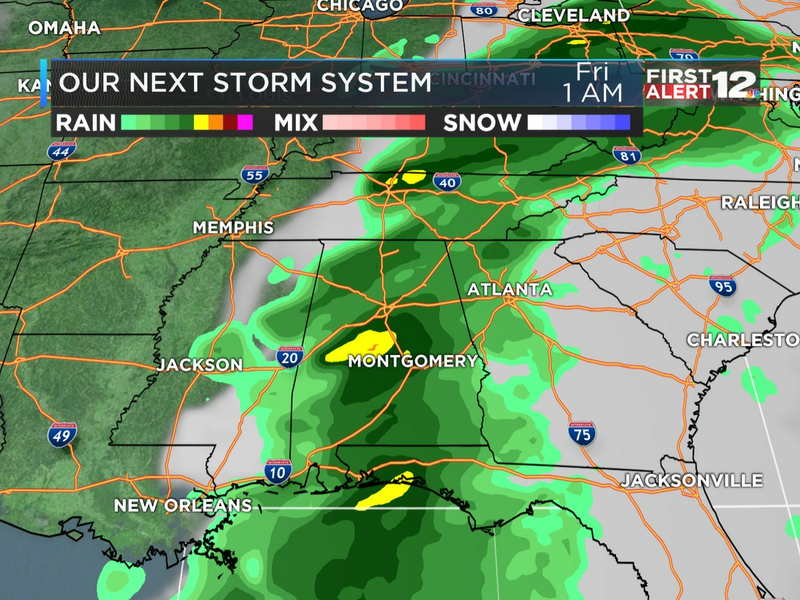 The threat of severe storms is low, but models are in disagreement on timing, so make sure to check back in with us for impacts as we head into the workweek. We’ll be chilly and dry for Wednesday, but our second system arrives Thursday. We’ll also be watching the threat for strong to severe storms late Thursday into Friday.